This week I am answering questions originally proposed by Ms Susan Anderson, an ex-Pat now in the USA. The question of how to make a great batter for making UK style fish and chips at home. While these recipes can be used for fish, they are equally good for any deep fried foods; banana fritters or vegetables (try battered cauliflower sometime . . . mmmmm delicious!) To compliment these recipes, in my cooking tips this week, I cover the issue of deep frying in general. First let me say when it comes to batter recipes . 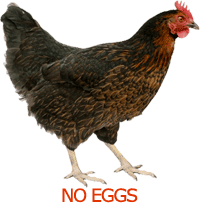 . . NO eggs! With the exception of egg whites in the tempura batter (which I will cover at a later date), eggs are the enemy of a good batter, they make them soggy, spongy and more like a cake mixture. So if you have a batter recipe with eggs in it, do me a great favour and ceremoniously burn it! All of these recipes will produce a nice light, crispy batter that gives that wonderful mouth feel of crunch as you bite into it and as long as you keep the mixture thin, the fish inside will not be overcooked and remain moist and tender. I do much prefer the baking powder batter, it is quick and I think makes a better, bit of batter than the yeast version. If any of you are luckily enough to be flying with Air New Zealand this month be sure to read their in-flight magazine, where you will find me and my website featured! So without further ado, let's get cooking . . .
You make Beer batter as above but replacing the water with a good yeasty beer. Enjoy your great batter and bon appetit . . . .